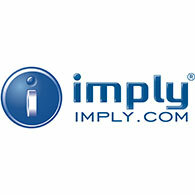 Imply® Technology offers a wide range of solution-oriented products and services in Access, Self Service, Entertainment, and Panels. Since our establishment in 2003, we believe that innovation is to turn new ideas into reality to make a difference in the world. Imply® Technology is present in the global market of technologies in more than 55 countries on 5 continents, with key customers and partners. With high technological development through a strong ability of R&D, Product Engineering, Software and Hardware Development, we use the most reliable technologies to design solutions that help our customers achieve new levels of performance. Imply® Technological Park is located in one of the most prosperous regions in Brazil, within a total area of over 180 thousand square meters (1,900 thousand sq. foot), and construction area of over 13 thousand square meters (140 thousand sq. foot). Our manufacturing plant consists of several integrated factories, with last generation equipment that enable maximum quality in the production line, and flexibility in delivering highly customized solutions.